The Offshore Marine division is specialised in providing HR solutions for complex demands in the offshore marine industry. Our local knowledge and many years of international experience guarantee compliance in all HR solutions we offer, always taking into consideration factors such as nationality, tax residency, and country of employment. 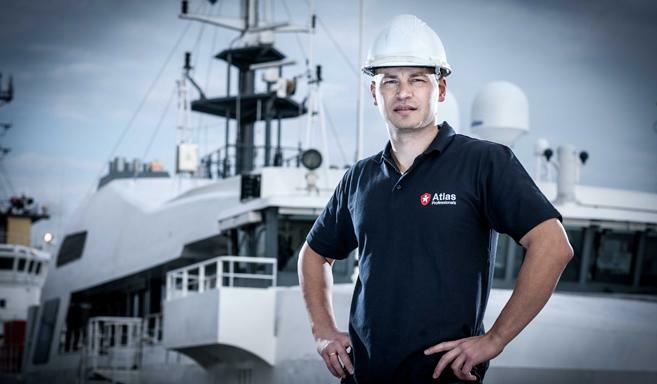 With a rich history in the marine sector, Atlas has grown in the last 30 years into a global specialist in providing offshore marine professionals for vessels – from single placements to entire crews, from stewards to masters. Our reliable and fully certified professionals have extensive fleet and regional experience, ensuring that their performance is fully aligned with industry best practice. Atlas Professionals has developed into an industry leader providing competent, experienced personnel to the offshore marine industry. We are proud of the longstanding relationships with our many clients and professionals, who believe in and benefit from our specialist approach.